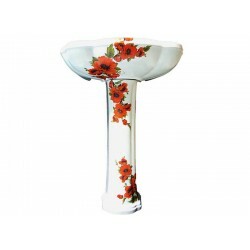 Beautifully hand painted poppies two different reds with various shades of olive green in the leaves. Makes a dramatic statement in any powder room. 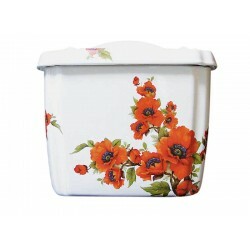 The poppies have been reprinted and now they are a bright red color, not the more orange color like this one. I can do either color. Check the Oriental Poppies Undermount to see the new flowers. Shown on a white drop-in (exact model no longer available), we are currently using Kohler Pennington drop-ins for this design. 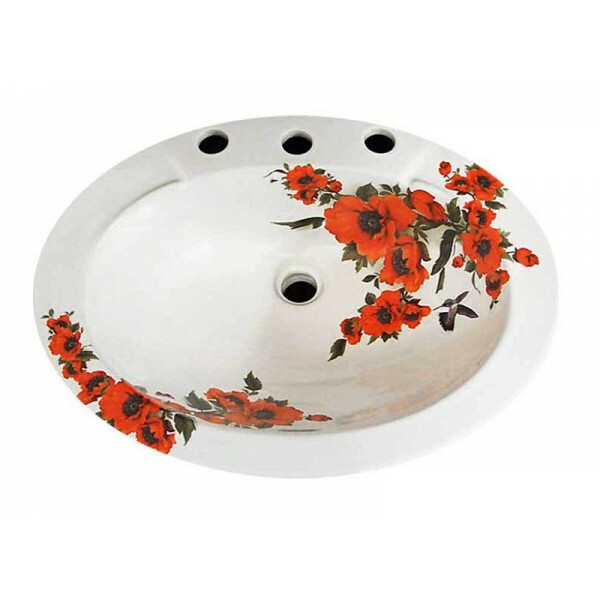 Check out the matching Oriental Poppies Toilet Tank & Lid.